1. What is your brand and when did it launch? My brand is my name: Joao Paulo Guedes. I started my brand 2 years ago. 2. How would you describe your brand? 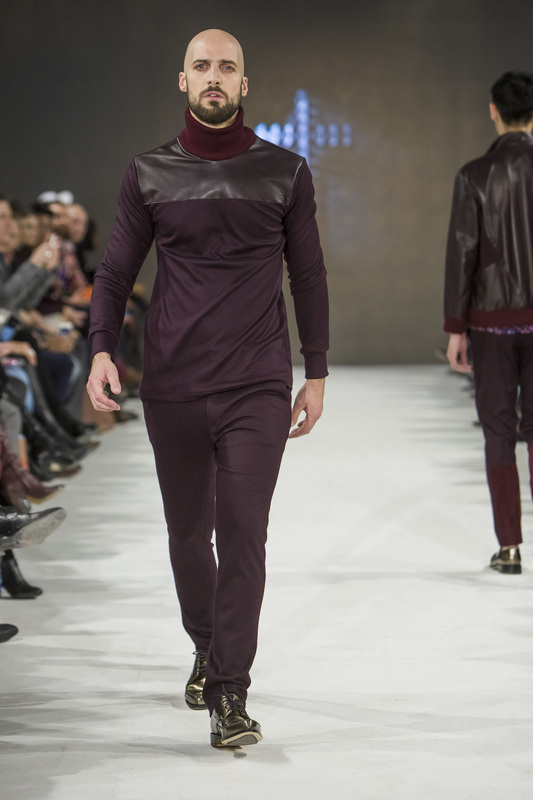 I think the Joao Paulo Guedes brand is unafraid to look luxurious yet still free to wear great clothes on the street every day. 3. When did you first realize your passion in the design field? I always liked fashion and I am glad I went back to school to do what I really love. I can say that when I went to India and interned with Nikhil & Shantanu I knew then that I could make a career in the fashion realm and focus on men’s design. 4. How would you describe your experiences in designing for men? It’s been very exciting and positive. I know this industry can be difficult but I have been able to find a supportive group of people to work with to help me grow and expand my brand and career. 5. Who would the Joao Paulo Guedes guy be? A creative individual not afraid of fashion. He can be as masculine as wants or as wild as he wants. He likes to be an original. He wants to look good on the street, at the bar, at work or on the runway. Whether he’s a famous star or a regular person he will feel just as good in Joao Paulo Guedes’ clothes. 6. 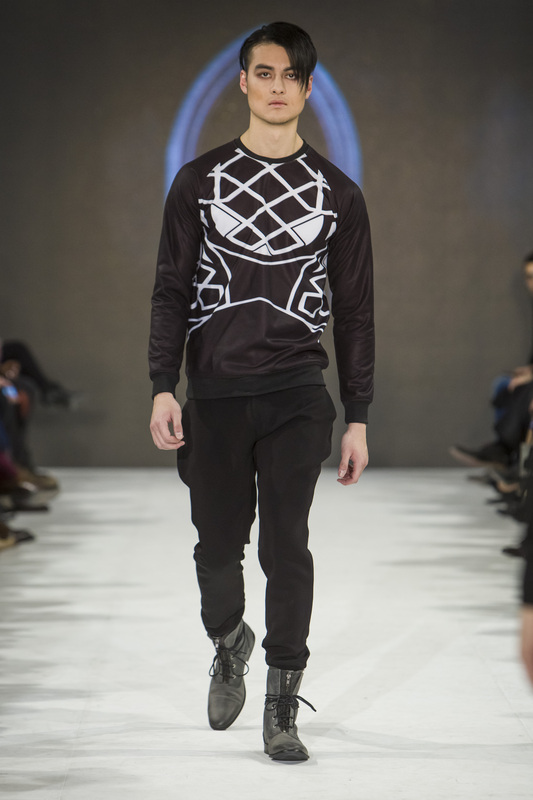 When you first showcased your designs at TOM*FW, you ended up winning the Emerging Menswear Designer Award. How did that help your business? Last season was a great experience! I got a really good response from that fashion show and cemented this profession as a designer for me. The exposure was great. So after the EMDA and now my first solo show completed I’m getting down to business and looking for the right fit for retailers. 7. 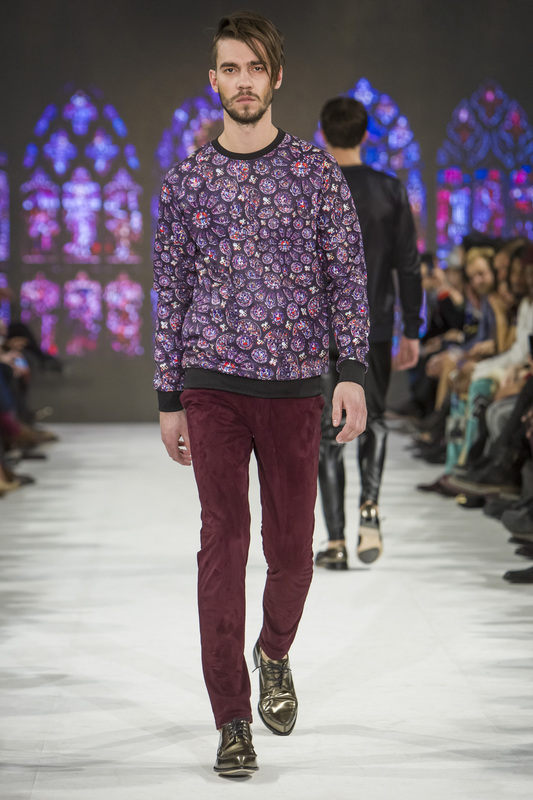 You’re TOM*FW FALL/WINTER 2015 show was stunning! What were your inspirations for the newest collection? Thank you! I have once again found inspiration from architecture and luxury: this time with hints of Gothic design and a darker palette. 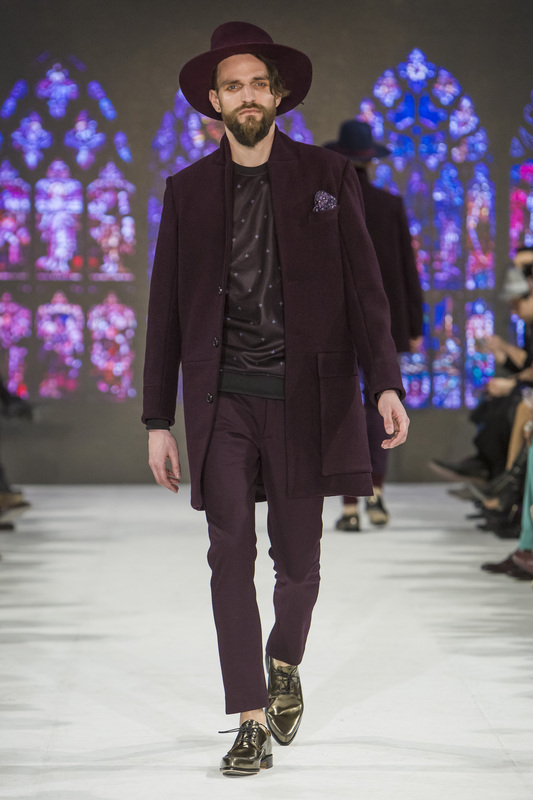 Using black, navy and Bordeaux as the major colors, this collection is fully balanced with exclusive prints and high-end fabrics from Italy. 8. 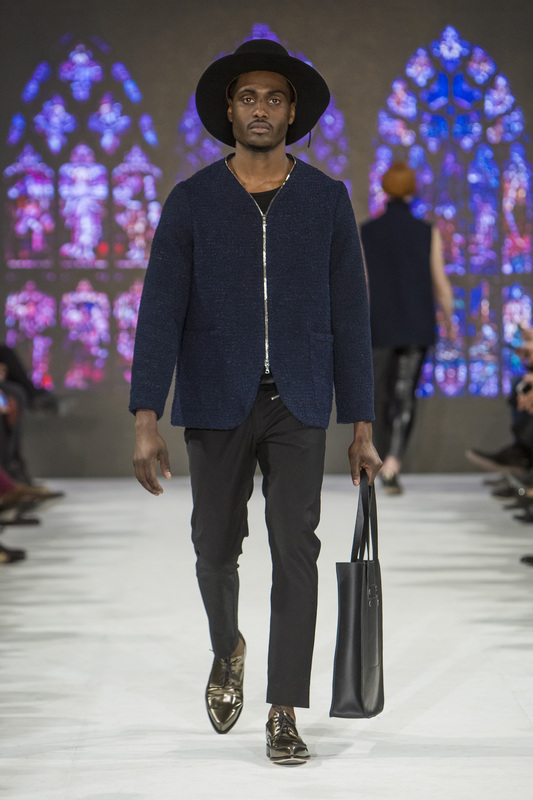 How does your brand differentiate from other brands in the Canadian menswear market? 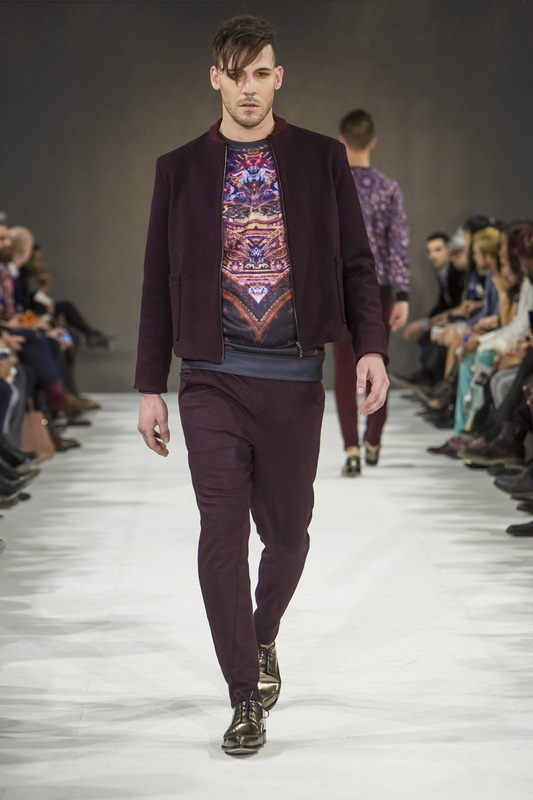 I think there are many talented designers in Canada! For my brand I try to give my designs a high end, luxurious look. The prints I create are one of a kind. I would say there is a little bit of me in all my looks. If I wouldn’t wear it, I wouldn’t make it! 9. 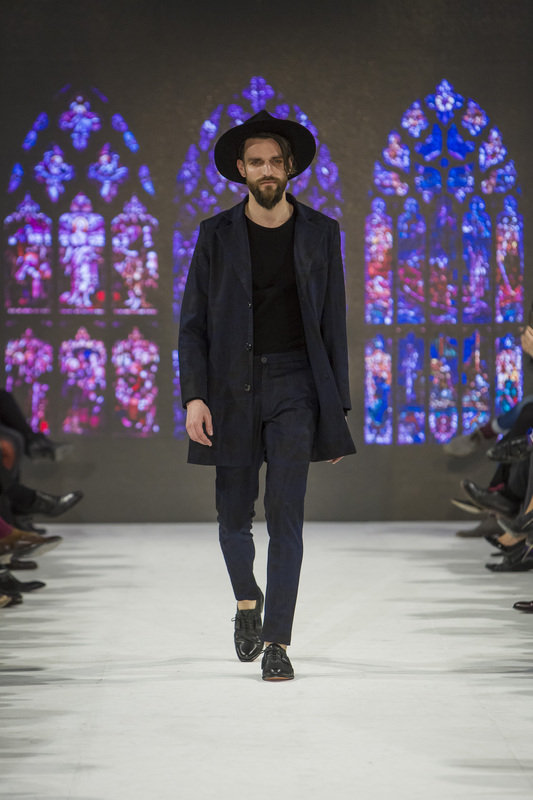 The hats featured in your show had been made through a Collaboration with Coup-De-Tete, how was it like designing the hats? For this season Jay from Coup-de-Tete and myself did a collaboration together. He made all the hats and designed them inspired by my collection. The hats were a great complement for the clothes! In the end, the runway looked exactly the way we wanted! 10. Where is your brand available? Right now, I am working with some international manufacturers to get my prints and collections produced. In addition I’m currently creating a high end line as well as a street wear line. Soon I will have my online store and I am currently looking for buyers and retailers that fit in with my vision and aesthetic. 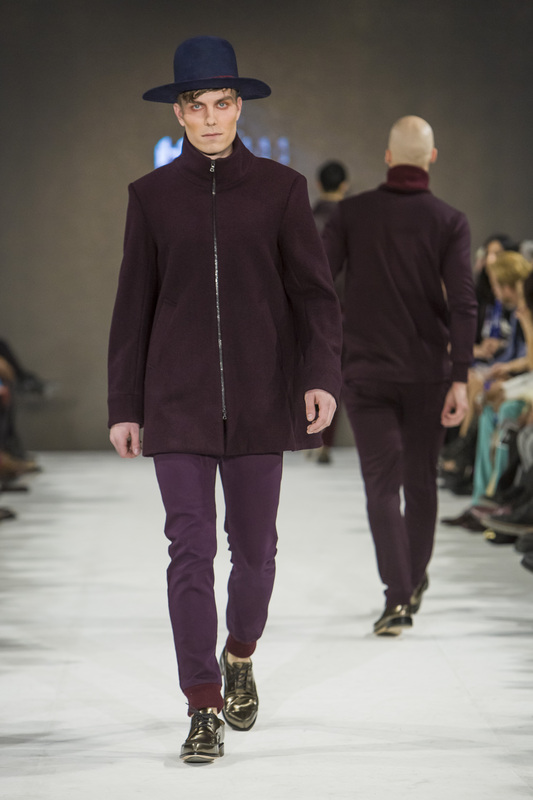 So expect my previous collection and this current TOMFW FW collection in stores soon! WIN BIG THIS SUMMER WITH GIANT TIGER #BIGSUMMERWINS CONTEST! Great post! Love the designs!